Kerry Wells (Kelsey Sanders), a college journalist and committed Christian with an effervescent personality, has been assigned to do a story on Blake Truman (Logan Bartholomew) the college’s newest and very popular hockey superstar. As a relationship between them begins to develop Kerry finds that Blake, who hides behind a tough and independent façade, is actually struggling through a difficult personal crisis and that he bears the cross of a secret he has kept hidden for years. Blake rebuffs Kerry's suggestion that prayer might help ease his burden; he is convinced that modern science completely disproves the Bible, especially the opening verses of Genesis. Kerry — who is herself suddenly confronted with a challenge to her faith on another front — sets out to prove that science and Genesis are not in conflict and her quest leads to a startling revelation. Could it be that what science teaches us about creation and the Story as told in Genesis are both true! One of the biggest drawbacks of faith based movies in my opinion is that they usually have stilted if not outright bad acting and the storyline is just cheesy. Well, much to my great delight, The Genesis Code didn’t even have an ounce of cheese in it. The acting is top notch as well. When we meet Blake we are brought in to the midst of a personal struggle of faith. 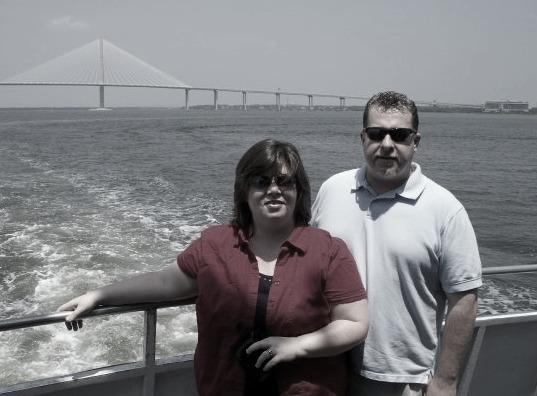 He has gone through the loss of his father and is watching his mother slowly die of pancreatic cancer. Because of these circumstances he has decided that he doesn’t believe in a loving God that the Bible talks about. I believe he said it is just a book of fables. Kerry is the heroine in the story. She is tenacious at wearing down the barriers that Blake has constructed around himself and his beliefs. Who wouldn’t be proud to have Kerry as their daughter? Don’t get me wrong Kerry also has her struggles but she diligently pursues the answers to what God would have her do. 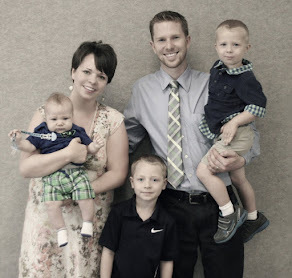 The Wells family is a wonderful example of what we as Christians should be. Kerry’s brother Marc has an amazingly scientific mind that puts him at odds with what the Bible teaches. I absolutely loved the way that the movie showed the family embrace Marc as one of their own while still gently guiding him towards the truth. Without giving anything away, I must say that Marc’s presentation on how science and the Bible can both be right was powerful. In fact it was so powerful that I just had to go back and watch it again. My favorite line of the movie is, “If we are patient science will eventually catch up with the Bible.” This movie has the potential to offend many, but it also has the potential of bringing about a lot of thought provoking debate. I would recommend this movie for junior high and up. There is nothing objectionable for those that are younger; I just don’t think the subject matter would hold their attention. I look forward to more movies being put out by American Epic Entertainment. 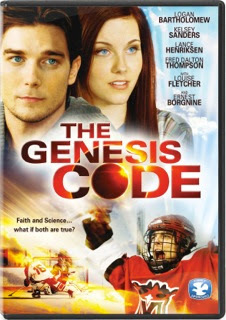 One reader will win a Copy of TheGenesis Code on DVD. US only 18+. Giveaway ends 06/18/12 at 12:01 am EST. Fill out the Rafflecopter Form to be entered! every friday night is Family movie night!!!! Love good quality Christian movies - this sounds like a winner! I'd love to watch it myself and then give it to my husband's grandma, she loves having good Christian movies to watch! I really want to see this. There aren't many good faith based movies out there. With my husband not having the same faith as me, I like to have him watch the good ones, knowing something will sink in. Sounds like a good movie for a rainy day! To replace the older one we now have that is sometimes unwilling to work. I like faith based movies and I am trying to grow my collection of them. It sounds like a movie my family would enjoy. I think my husband and I would love it. I would like to win for family movie night. We have these a couple times a month. I want to win this because I would love to watch it! I'd like it for my husband. I haven't seen it & I'd like too.